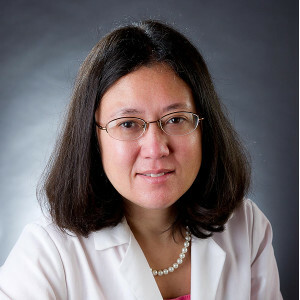 Wendy Chung, M.D., Ph.D. is a clinical and molecular geneticist and the Kennedy Family Professor of Pediatrics and Medicine at Columbia University. She received her B.A. in biochemistry and economics from Cornell University, her M.D. from Cornell University Medical College, and her Ph.D. from The Rockefeller University in genetics. She described Okur-Chung syndrome in 2016 with Dr. Okur. Dr. Chung directs NIH funded research programs in human genetics of autism, neurodevelopmental disorders, birth defects including congenital diaphragmatic hernia and congenital heart disease, obesity, breast cancer, and pulmonary hypertension. She leads the Precision Medicine Resource in the Irving Institute At Columbia University. She has authored over 300 peer reviewed papers and 50 reviews and chapters in medical texts. She was the recipient of the American Academy of Pediatrics Young Investigator Award, the Medical Achievement Award from Bonei Olam, and a career development award from Doris Duke. Dr. Chung is renowned for her teaching and mentoring and received Columbia University’s highest teaching award, the Presidential Award for Outstanding Teaching. She was the original plaintiff in the Supreme Court case that overturned the ability to patent genes and served on the Institute of Medicine Committee on Genetic Testing. Dr. Volkan Okur completed his medical school education and medical genetics residency training in Turkey. He has experience in clinical, diagnostic, and research fields of human genetics. He has been working at Columbia University since June 2015 with Dr. Wendy Chung in discovering underlying genetic causes of neurodevelopmental diseases. Among his interests are dysmorphology, genetic counseling, next-generation sequencing, single-gene diseases, chromosomal diseases, population genetics, and rare disease advocacy. Kyle Retterer is the Chief Innovation Officer at GeneDx, a leading clinical genetic diagnostic laboratory based in Gaithersburg, Maryland. He joined GeneDx in 2010 and currently oversees the test development, data science, and genomics research groups. He holds a B.S. in Physics and M.S. in Biotechology and Bioinformatics from the University of Maryland. 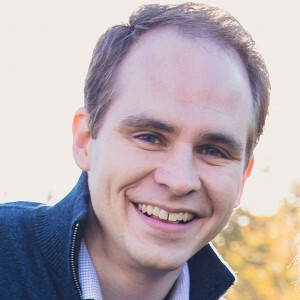 Kyle has authored over 30 peer-reviewed articles primarily focused on whole exome sequencing, bioinformatics, and the discovery of novel disease genes. 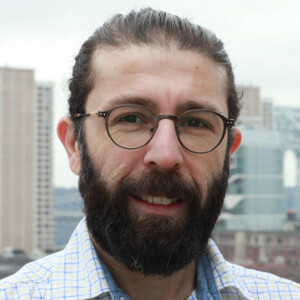 His areas of expertise include assay design, pipeline development, genomic analysis automation, and machine learning. Kyle’s research interests include neurodevelopmental disorders, aortic dissection, and the application of deep learning to clinical genomics.